Reading it made me feel like I was experiencing my childhood again and I couldn't help but be jealous that Peter could remain young forever. As a child watching Peter Pan I promised myself that I would never lose my happiness and dreams. I've tried to keep that promise but it feels like a losing battle and that's the thing that's so sad about growing up, you lose your ability to to see the world as a magical place. I haven't given up yet. I don't like it when I hear people who truly believe that there's no point to dreaming. I think happiness and dreams are things worth fighting for. Now I'm no fool, I've always known that happiness isn't something you can buy, but I saw this watch on Pinterest, I went searching for it. 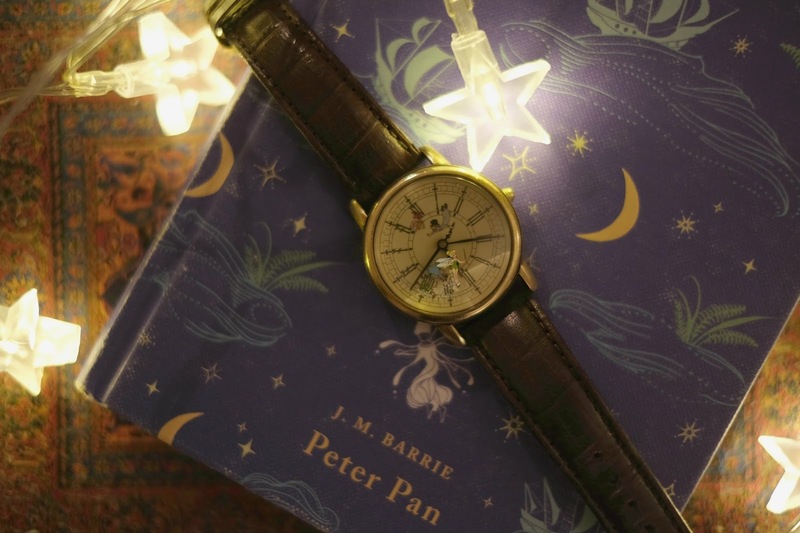 What's so adorable about this watch is that Peter and Wendy stand on the second hand so they spin around. It doesn't bring me happiness in the material sense but whenever I look at it, it reminds me of that promise and it feels like it almost magically reminds me to never give up on my dreams . I wear it almost everyday, it's become my favourite thing I own. 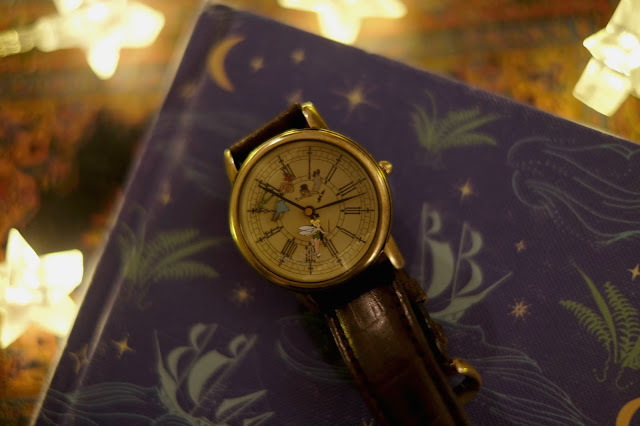 This watch is just stunning. So beautiful and cute!